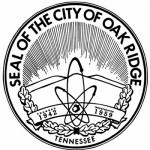 The Oak Ridge Municipal Planning Commission will consider a potential revision to the plan for Main Street Oak Ridge during a special meeting this evening (Wednesday, December 5). The meeting is scheduled to start at 5:30 p.m. in the Multipurpose Room at the Central Services Complex at 100 Woodbury Lane. The proposed amendment to the plan would eliminate multi-family and add retail commercial uses, according to the meeting agenda. See a recent story on the proposed revisions here. See the Planning Commission agenda here.